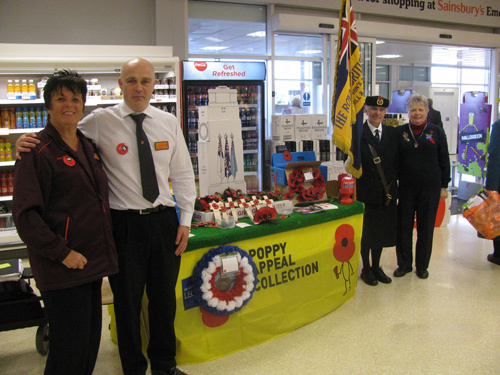 CUSTOMERS at Sainsburys in Emersons Green have the chance to buy their Remembrance Day poppies in the store. A team of volunteers from Staple Hill Royal British Legion is selling the poppies for a fortnight up until November 10. It is led by Jeanette Ware, chair of the branch's women's section. Mrs Ware has been collecting at Sainsburys every year since the store opened 18 years ago. She used to be the standard bearer for the women's section but that role has been taken over this year by Sharifa Nagui. 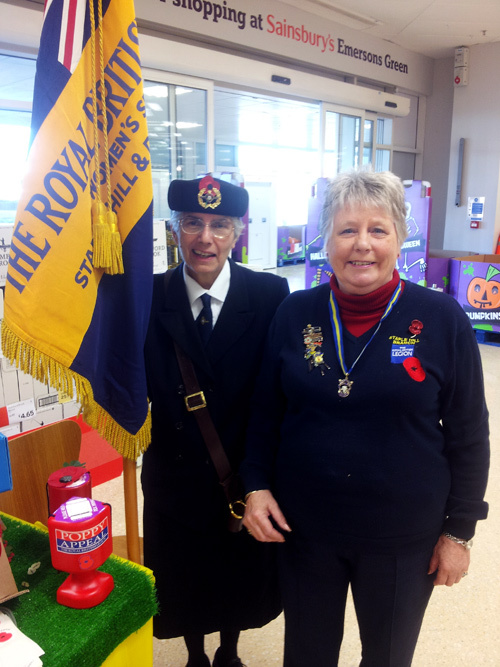 Last year, customers at the Sainsburys store contributed £19,000 of the Staple Hill branch's £54,000 Poppy Appeal total.